RBC’s website allows members to log-in to access Member Only information. 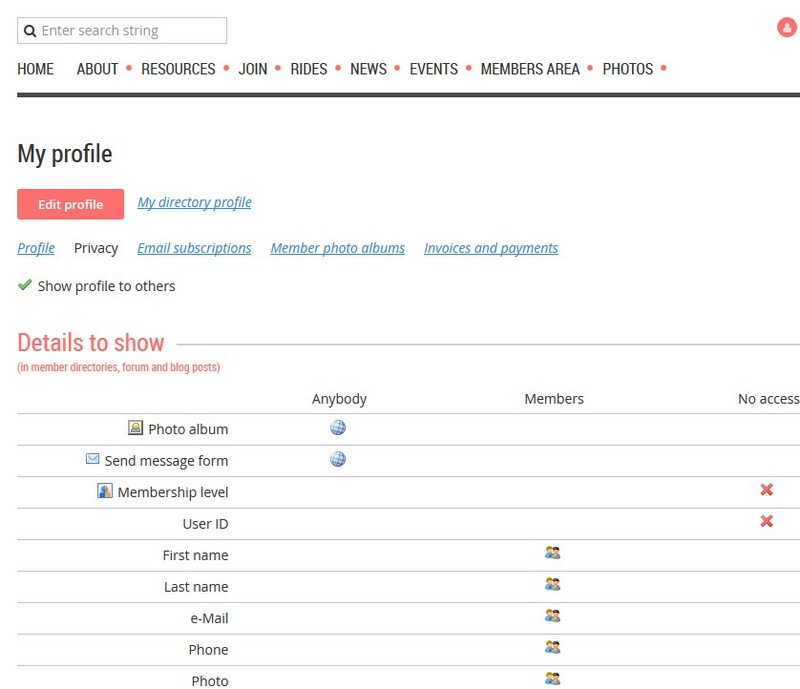 Each member has a member profile that contains their contact information and privacy settings that they can edit. We send emails to all members for such things as the newsletter and other important information we need to communicate quickly to all members. Check your email to be sure that these emails are not going into your spam folder. To ensure that your email program doesn't mark emails coming from the RBC as spam you should also add rbc@wildapricot.org to your email contacts. Check “show profile to others” if you want to be included in the Members Directory. Memberships are up for renewal on March 1. You will receive renewal reminders starting in January. You renew your membership by logging on and selecting “View Profile”. Then click the “Renew Until …” button. There are three primary types of memberships, Individual, Family or Student. Each family member has log-in access with their own email address and profile. Each family member receives the RBC membership card. To change from an Individual to a Family membership or a Family to Individual membership send an email to the Membership director. You will get an email confirming the change. The first family member is known as the "Bundle Administrator" and can add additional family members. To add an additional member access your profile, and click the “Add member” button and enter the new family member information. Each added family member also needs to check off that they have read the liability waiver found in their profile.